The Suir Valley 3 day cycle classic is to have a stage finish in Cahir Town again this year on August Bank holiday weekend. Local councillor Andy Moloney who welcomed the race to Cahir last year attended the launch in the Town Hall and its all systems go again this year. Following on from a meeting after the event last year, it has been decided to bring the finish line back towards the Post Office this year thus freeing up the square and better traffic management. The road will not be closed until a few minutes before the arrival of the race and it's cavalcade. The many Tv stations that covered the race last year showed the Town in all its beauty. Cllr Moloney encouraged locals to come out in force and welcome the big international entry to the town. The race itself in a big economic boost to south Tipperary with over 1800 bed spaces sold over the weekend. The race is due to finish in Cahir around 3.30pm on Saturday 5th August having travelled from Clonmel, Carrick, Mahon Falls, kil Brien, Ballymac, clogheen , Ballylooby to the finish in Cahir. 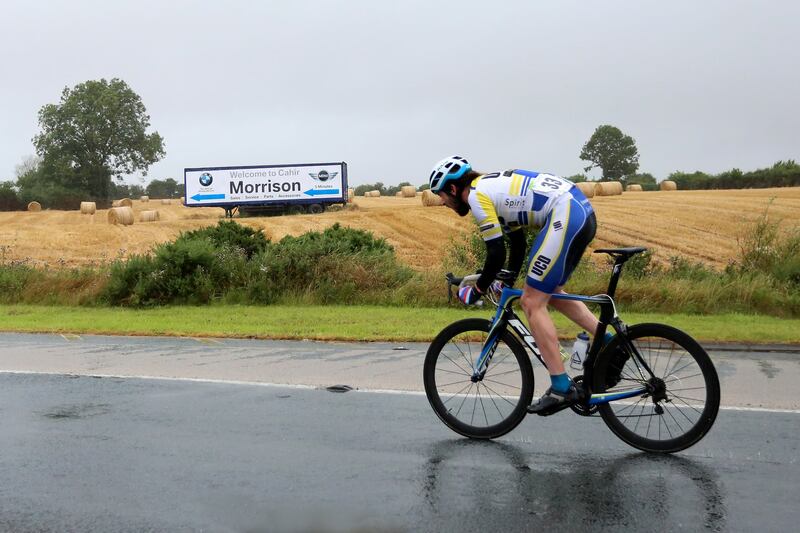 One of the main sponsors of the race is Morrison BMW who will supply 10 high range cars for the Marshals and judges. The cyclists will also pass through Cahir Town on Monday morning 7th August on the last of their 4 Stages.